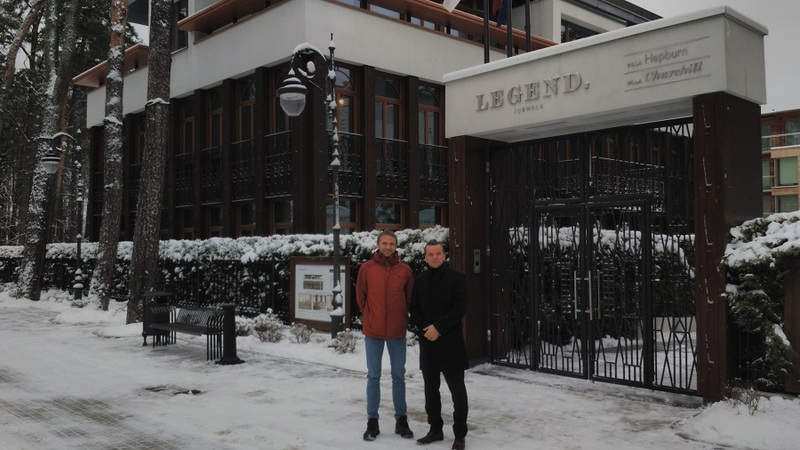 On invitation of Crowdestor I travelled to Riga and met the founders of Crowdestor Janis Timma and Gunars Udris. Crowdestor is a Latvian p2p lending platform for SME loans. They launched a year ago. Loans are typically for terms of up to 18 months and interest rates are quite high – the current loan offer by a transportation company seeking expansion capital carries 17% interest rate. The Crowdestor website is available in English, German and Portuguese language. Currently most investors on the platform are Germans, followed by Spanish investors. We talked about their experiences in launching the platform and I asked how they acquire new clients requiring a loan. Janis explained that at the current stage it all comes down to networking in the business community of Riga. Latvia is a small country, about 2 million inhabitants, and Riga is the dominating city with about one million inhabitants in the larger urban area. He said chances are very good that he has a friend that learned that a company is looking for financing and know someone in the management of the company and can put him in contact. Crowdestor then negotiates the loan terms with the business and checks their business records and background. Janis said they have been extra careful with their loans so far, turning down very many requests as the founders understand very well that a default of a loan at this very early stage could harm their fledging marketplace. Gunars (left) and Janis in font of the luxury appartment complex they showed me. Both are very proud of the projects financed by the Crowdestor marketplace. They drove me around to show some of the projects. As one real estate project is at the moment only a piece of land, where construction has not yet been started, we went inside another apartment complex finished by the very same real estate developer, so I could experience the high quality of work and the attention to detail. It was an apartment complex with 3 buildings, themed Churchill, Hepburn and Dietrich, located directly on the shore at a popular beach. There is a spa in one of the buildings only for the residents and each building has a concierge. Another project they were really enthusiastic about is INCH2 shoes a e-commerce venture that designs and sells fancy shoes online and is growing extremely fast. The shoes are produced in Portugal on their behalf. They had a smashing success selling shoes for 1 million EUR turnover on black Friday this year (overall turnover about 5 million EUR in 2018). INCH2 got a 100K expansion loan through Crowdestor earlier this year at 17% interest. Janis explained to me that they actually were looking for a 500K loan, but it was clear that at the current stage of development of the platform Crowdestor would not be able to raise that much cpaital from investors, therefore it was agreed to start with a smaller loan. In 2019 there will be a second loan for INCH2 on the Crowdestor platform. And that brings us to the current situation. Crowdestor has a pipeline of 7 projects they want to finance in the near future but are aware that they need more investors, to be in a position to fund all these projects. Over lunch at ‘The Catch’ restaurant – really great tasting food by the way I can very, very much recommend that restaurant – and they will open a location in Berlin too – in fact when we were there they had staff of the German restaurant there that was getting training – we discussed pro and cons of possible different marketing strategies and platform features that could help Crowdestor to accelerate growth or the platform. During a small drive to the city, Gunars showed me where several of the many other p2p lending marketplaces that are headquartered in Riga (most well known is probably Mintos) are located. Crowdestor itself is currently moving office to have a more space. Gunars told me that they have a good working relationship with the founders of many of the other platforms and are exchanging experiences and thereby benefiting each other. In fact he arranged a small visit for me at the Viainvest office where we had coffee with Simona the Viainvest CEO, who had wanted to meet in person when she learned that I would be in town. Simona answered my question and gave some details to the current situation of the Viainvest business and future plans (which I am not to divulge just yet, but the company plans to announce them very soon). 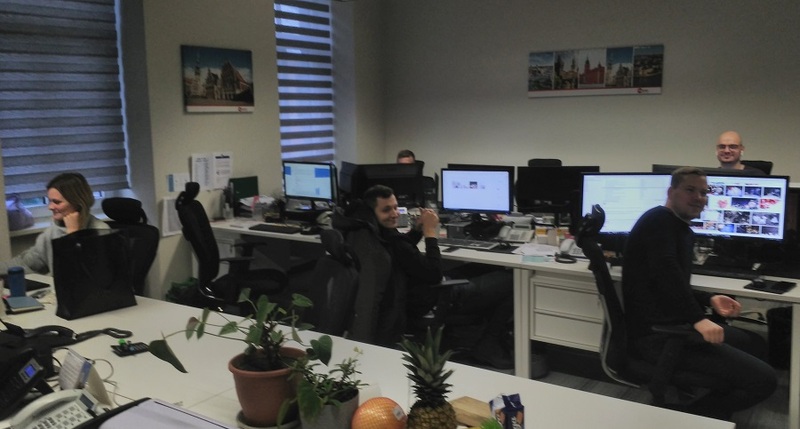 At the Viainvest office. The group occupies a two floors in the building. The minimum investment amount on the Crowdestor marketplace is just 100 EUR, investors can sign up here and check it out. I thank Crowdestor for the invitation, the time they took to guide me around and for paying the flights and the lunch. The table lists the loan originations of p2p lending marketplaces for last month. Mintos leads ahead of Zopa and Ratesetter. The total volume for the reported marketplaces in the table adds up to 473 million Euro. I track the development of p2p lending volumes for many markets. Since I already have most of the data on file, I can publish statistics on the monthly loan originations for selected p2p lending platforms. This month I added Debitum Network. I removed Unilend, as the platform has closed and the company has gone into receivership. EDIT: The volume for Swaper was 2.0M EUR. The table lists the loan originations of p2p lending marketplaces for last month. Zopa leads ahead of Mintos and Ratesetter. The total volume for the reported marketplaces in the table adds up to 481 million Euro. I track the development of p2p lending volumes for many markets. Since I already have most of the data on file, I can publish statistics on the monthly loan originations for selected p2p lending platforms. This month I added Crowdproperty. Dofinance crossed 50M EUR total volume lent since launch. I read a lot. Really a lot. I average about 100 to 150 books I read each year. Nevertheless I rarely blog about a book on this blog, since I want to keep this blog focussed on the topic. I’ll make an exception today. For one of the best books written by a politican I ever did read. It does not offer a vision. It is better. It is a profound, through analysis of the current state of society, the upcoming huge challenges we face, the likely consequences of these and a set of solutions that actually are logical, made sense to me and are financially feasible. Most politicians seem to be doctoring with tiny steps on the symptoms, but in this book the author describes a clear path he would want to take forward. The book is written by Andrew Young, running for US president in 2020. I have no idea what his chances are. And I actually do not care much about inner-American politics. The point is: In my view this book is not (only) about America. It addresses the major questions most Western society will face in the next decade. In Europe the impact will be delayed a few years and softened by better social security systems, but many aspects are the same. One of these challenges is the replacement of many, many jobs by algorithms (AI) or robots (did you watch ‘Humans need not Apply’?). What does it mean for all of us if millions of job disappear in a very short time-frame? As part of the answer he proposes Universal Basic Income (UBI). I have been very sceptical about UBI. It reminds me too much about the failed Eastern European economies of the last century. And I am still not convinced. But Yang lays out a very logical set of arguments that makes me more curious. Rarely have I wanted so much to see the implementation of a political plan, to see if it works out and delivers the expected results. A lot would have to happen. It is one thing to lay it all out beautiful in a book and a totally different beast to win the majority to implement change. 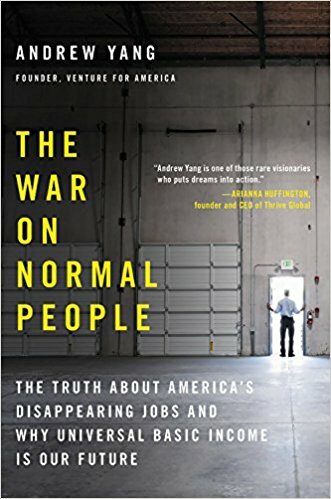 ‘The war on normal people’. The book is available at Amazon.com, Amazon.co.uk, and Amazon.de. The title is the least fitting part of this book. British p2p property platform Kuflink has been in operation since 2016. Previously accepting only UK residents as investors, the platform announced that they have enhanced their KYC/AML procedures and are now open to investors from anywhere in Europe. Interested investors can use a free UK bank account from Transferwise Borderless or Revolut (Smartphone required). And in exchanging money to GBP new TransferGo clients can get a 10 GBP bonus when exchanging/sending at least 150 GBP. Kuflink offers short term property loans (usually 3 to 12 month), secured by a legal charge. They run a very generous 100 GBP cashback offer available by signing up through this this link. Note that the landing page says 50 GBP, but I have negotiated with Kuflink that clients referred by P2P-Banking get 100 GBP (doubling normal cashback). VERY IMPORTANT: Read T&C and strictly follow them. E.g. the minimum investment of 500 GBP must be reached within 24 hours of first investment. While it is possible to spread your investment over several loans, be sure that you are in line with the T&C terms. You can find more cashback deals on this page. 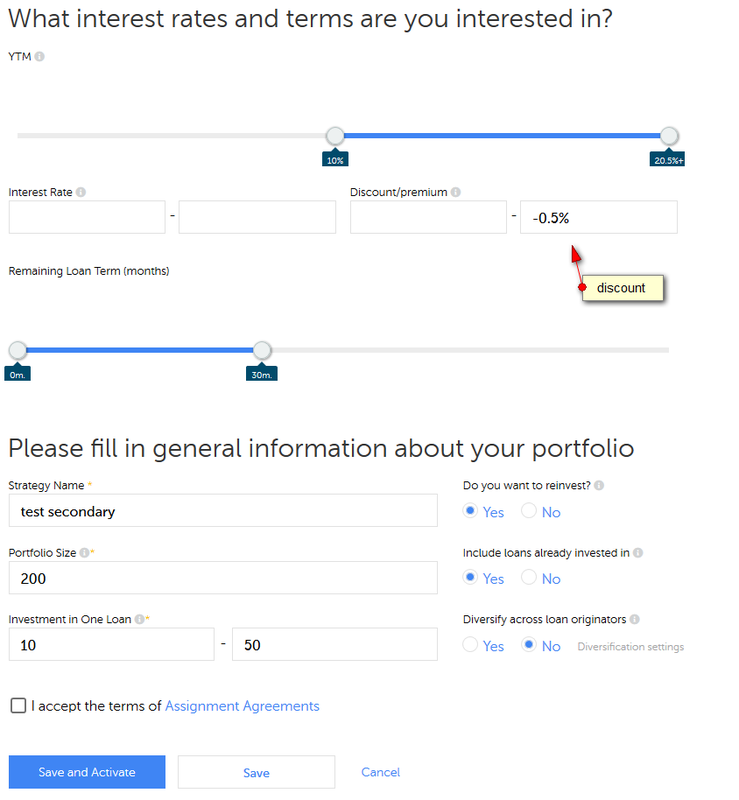 Screenshot: Available Kuflink loans (selection). Every loan offer comes with detailed information, including a valuation report. Since the start in 2016, Kuflink has originated more than 20 million GBP in loan volume. Kuflink does not charge investors any fees. Interest is paid on the first day of each month (for manual investing). There is an autoinvest option, but conditions are less interesting than on manual investing. Two features Kuflink lacks are a secondary market and a detailed statistic page (there is some information in the FAQ). In April I published an interview with the Kuflink CEO. Mintos has announced a new feature – the autoinvest can now be used to buy loan parts on the secondary market too. I am setting up a new autoinvest to test it and am curious how many loan parts I will be able to acquire with this new feature. Just like on the primary market there are many selections adjustable. Mintos will roll out the new feature to all investors on Dec. 3rd. Only selected investors will be unlocked earlier. Mintos says investors can deposit an additional 5,000 EUR to add to their balance to get early access. Also investorswhich have invested at least 50,000 EUR will have early access. For the further details of the test, I set the secondary market auto invest to buy loans with at least 10% YTM, a maximum loan term of 30 month and at least 0.5% discount. I left the interest rate open, as the restriction is not really necessary for me in this case in conjunction with the YTM and the discount.. For ‘Do you want to reinvest’ and ‘Include loans already invested in’ I choose ‘Yes’. 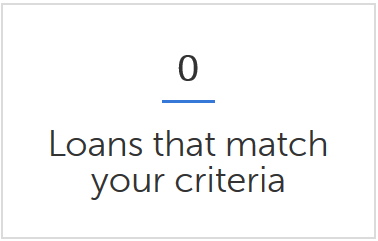 I deselected ‘Diversify across loan originators’ as I want to buy all loans that match these conditions. No surprise – no loans match my selection. Loans with these criteria selected by me have been bought up fast in the past, even before the introduction of this new autoinvest. I do wonder, which investor will get priority in case there will be autoinvests of multiple investors matching a new loan up for sale. 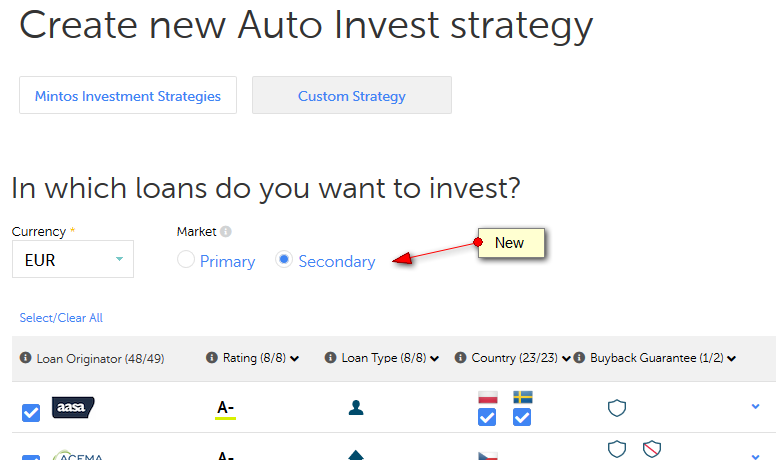 I expect this new autoinvest will be a popular feature amongst Mintos investors. Not many but a few other p2p lending platforms offer autoinvests for their secondary markets too. The table lists the loan originations of p2p lending marketplaces for last month. Mintos leads ahead of Zopa and Ratesetter. The total volume for the reported marketplaces in the table adds up to 410 million Euro. I track the development of p2p lending volumes for many markets. Since I already have most of the data on file, I can publish statistics on the monthly loan originations for selected p2p lending platforms. This month I added Colectual and Landlordinvest. Edit Oct. 4th: Today an updated version of the table was published. One of the main developments in UK p2p lending this autumn is the IPO (initial public offering) of Funding Circle. It will be open for investors that commit at least £1,000 through an intermediary (see list of participating intermediaries). Investing at the IPO means investors will invest at a very late stage of the growth phase of a startup. This article and this article suggest that it might not be a good idea to invest in an IPO. But is there really a chance to invest into equity of a p2p lending marketplace at an early stage, if you are not an employee, business angel or VC? Up to a few years ago the answer would have been NO. But crowdfunding for equity came into use a recently and a surprising number of p2p lending companies have used this route to raise funding. In this article I will look at the p2p lending services that have used British equity crowdfunding platform Seedrs to raise money. Some of these p2p lending company funding rounds have taken place years ago, but the interesting point is that Seedrs has a secondary market and new investors can buy shares from existing investors that invested earlier through Seedrs. The secondary market opens every first Tuesday of a month (next on Oct. 2nd) and stays open for a week. Some of the shares on offer are in high demand and often sell out within an hour. If you’d like to buy on the secondary market you should open your Seedrs account now, as you’ll need time to verify it and deposit funds prior to the market opening. Assetz Capital is a UK platform for SME loans. Assetz raised two rounds on Seedrs for an aggregate of 5.3 million GBP. The last round was in October 2017 at a pre-money valuation of 50M GBP. Shares of Assetz capital are usually in high demand on the Seedrs secondary market. Brickowner is a UK property investment platform. Brickowner raised four rounds for an aggregate of 0.4 million GBP. The last round was a converible in March 2018. The pre-money valuation in Nov. 2017 was 2.5M GBP. There is usually some availability of Brickowner shares on the secondary market. Crowdlords is UK property crowdfunding platform. Crowdlords raised one round for 0.2M GBP in Nov. 2014. The current pre-emption round is at a pre-money valuation of 3.2M GBP. There is usually limited availability of Crowdlords shares on the secondary market. Crowdstaecker is a UK platform for SME loans. Crowdstacker is running a round right now for 0.8 million GBP at a pre-money valuation of 19.5M GBP. Crowdproperty is a UK platform for property development finance. Crowdproperty raised 0.9M GBP at a pre-money valuation of 5.9M GBP in November 2017. There is usually some availability of Crowdproperty shares on the secondary market. Flender runs a platform for Irish SME loans. Flender raised on Seedrs round of 0.5M GBP at a pre-money valuation of 4.5M GBP in January 2017. Supply of Flender shares on the secondary market is scarce. Investly is a platform for invoice financing operating in the UK and Estonia. Investly raised on Seedrs round of 0.7M GBP at a pre-money valuation of 6.6M GBP in March 2018. Investly shares have been in high demand on the secondary market. 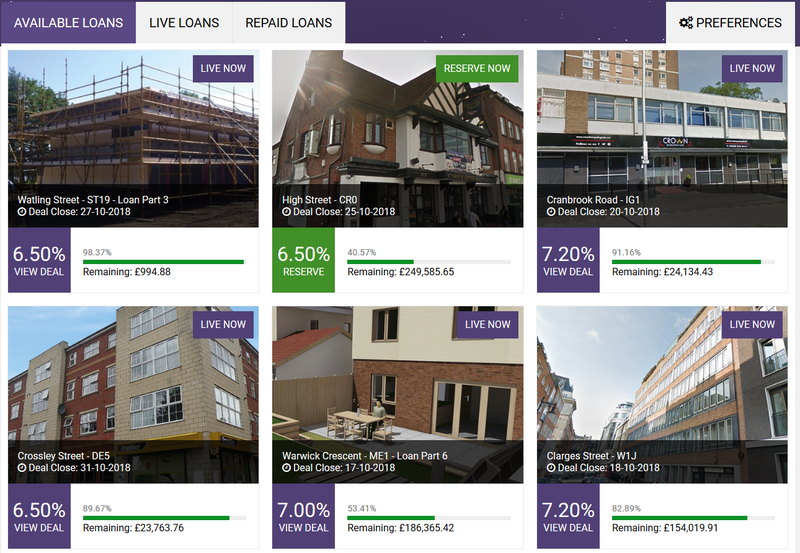 Landbay is a UK platform for buy-to-let mortage lending. Landbay did multiple Seedrs rounds from 2013 till 2018. The last round was in March 2018 at a pre-money valuation of 28.9M GBP. There is usually good availability of Landbay shares on the secondary market. Orca is an aggregator for UK p2p lending investments. Orca is running a round right now for 0.5M GBP at a pre-money valuation of 1.8M GBP. Welendus is a UK platform for short-term loans. Welendus raised 1.3M GBP GBP through 3 Seedrs campaigns including the currently running round at a pre-money vaulation of 6.0M GBP. There are shares of mulitple other interesting fintechs available on the Seedrs secondary market, including Commuter Club which has an interesting connection to p2p lending: The loans for the transport tickets were financed first by Ratesetter lenders and now by Zopa lenders. There is usually good availability of Commuter Club shares on the secondary market. P2P-Banking has a pre-launch notification service for upcoming new Seedrs campaigns. Sign up and you get a head start on new campaigns which might potentially include Assetz Exchange, a new Brickowner round and p2p lending startup Neo Finance. Summing up: While there are other sources for shares in p2p lending companies, Seedrs is a good place to start looking. Finnish p2p lending marketplace Fellow Finance plans an IPO at Nasdaq Helsinki. Established in 2013 and launching operations in 2014, Fellow Finance is an internationally active and growth-oriented FinTech group that provides crowdfunding services. The Company has facilitated peer-to-peer loans to consumers as well as loan-based crowdfunding and invoice financing to businesses in a total amount of more than EUR 295 million, serving nearly 430,000 users from around 50 different countries. Fellow Finance’s net sales consist mainly of commissions and interest income. Taaleri Plc is the largest owner of the Company, with an ownership of 45.7 percent before the IPO. In 2017 Fellow Finance’s net sales was EUR 8.7 million, growing by 55 percent from the previous year. The good development continued in the first half of 2018, as the Company’s net sales grew by 43 percent compared to the same period of the previous year. The objective of the planned IPO and Listing is to finance international growth and expansion of operations. Further objectives for the Listing are to increase the number of share-holders, give the Company access to capital markets, and in-crease the liquidity of the Company share and awareness of the Company. The Listing will also allow the more efficient use of shares as e.g. means of payment in eventual corporate acquisitions and in the remuneration of employees. The gross proceeds that the Company will receive from the Share Issue are estimated to amount to a total of approximately EUR 10.0 million, before IPO related fees and expenses. Institutional investors consisting of certain funds managed by OP Fund Management Company Ltd and Sp-Fund Management Company Ltd as well as Prior&Nilsson Fund and Asset Management Ltd have given their pre-commitments to subscribe for shares and agreed to become cornerstone investors in the IPO. Additionally, the Company’s Chairman Kai Myllyneva, and members of the Board of Directors Esa Laurila and Jorma Alanne given their pre-commitments to subscribe for shares in the IPO. Total subscription commitments amount to approximately EUR 4.6 million.